It’s grown slowly but surely but more so over the last few months as my motivation increased. There was a spell late last year when I became bored of the colors and I started a new project, A Rose Fairy. I haven’t touched it since Nov, 2016. 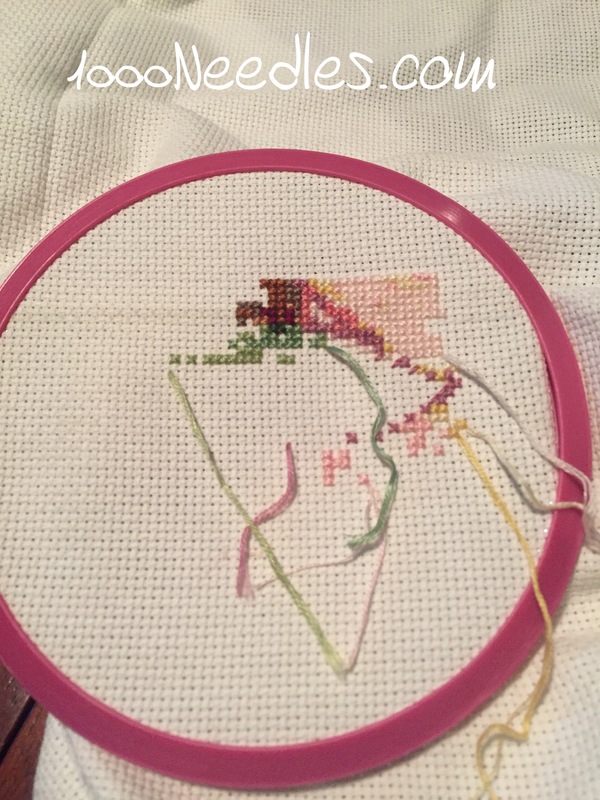 I’ve been watching a bunch of YouTube podcasts again and I’m being exposed to more current cross stitch patterns. I’m loving what I’m seeing. 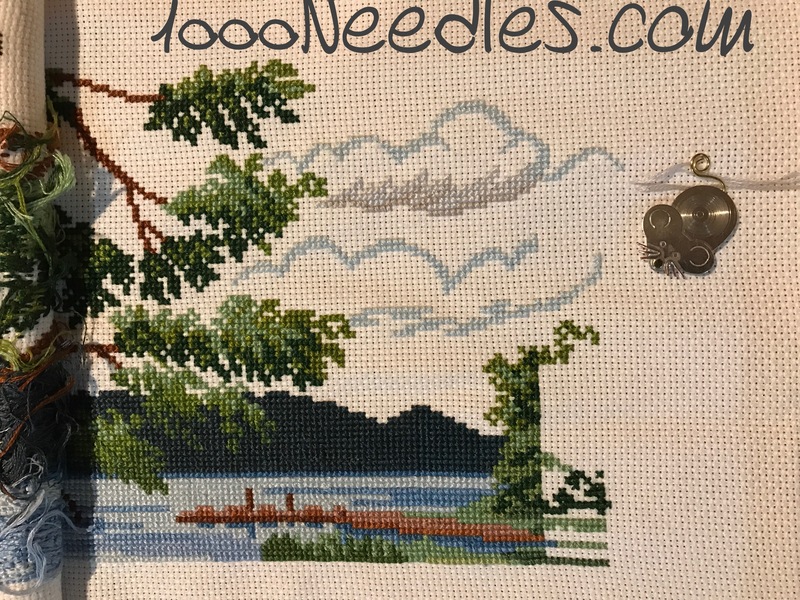 If you’ve been reading my blog for awhile, you may know that I started cross stitching with my grandma in the 90’s and all my current patterns and stash are from that time in my life. I haven’t bought anything since because I wasn’t into it as I was and when I did work on a project, I was determined to finish the patterns I’ve got. That is changing. All the patterns I have from that time are HUGE projects that will take me multiple years to finish. Case in point, I’ve been working on Mama’s Bukid regularly for 2 years and I’m still on the first page! Granted I’m almost done but there are 9 pages to this project! At this rate, it’s going to take me 16 years to finish. That is not inspiring. So, I’m looking for a small project that I can work on and finish within a month or two. I’m looking for something modern and sparkly. Haha — cute post. Neat that you started with your grandma. I hope you find something fun for your new project, with a shorter finish! So why not sell some of those you have so you don’t feel guilty over them, and reinvest in one or two new, smaller patterns? I’ll bet you could sell them on eBay.